For the first time in her sheltered life, Larissa Ascot's wishes for a merry Christmas seem to be in peril. Her father is off to the Colonies on business, but is far overdue to be home. Thus Larissa is left to handle the rumors of her family's bankruptcy, panicked creditors pounding on her door, and eviction. On top of all that, she must now contend with her enigmatic would-be "benefactor," Vincent Everett, the Baron of Windsmoor. 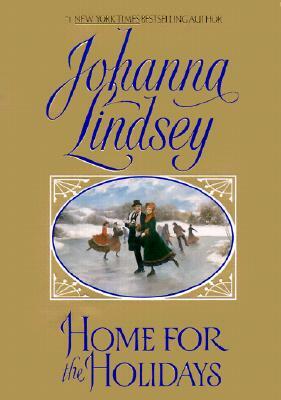 The charming and handsome rogue has offered to shelter Larissa, her little brother, and their few remaining servants in his own home, and Larissa has no choice but to accept his proposal -- unless she and her younger brother Thomas wish to wake up chin-deep in snow on Christmas morning. The baron would be the first to admit that it is more than the Yuletide spirit of good will that has inspired his generosity. From the moment he first set eyes on the enchanting Miss Ascot, he was bewitched. And now that she has taken up residence in his home as well as in his heart, he aches with wanting her -- a most unfortunate state of Airs, since the proud beauty obviously despises him...and since Vincent had previously sworn to seek a righteous vengeance on Larissa's family. But Christmas is a time of miracles, after all, when love, at the seasonal peak of its power, can triumph over all adversity. The more the lovely lady resists Vincent's considerable attractions, the hotter her desire for him grows. And in these magical days, something truly wondrous could occur -- as the spirit of forgiveness reaches down to touch two rival souls ... and shower Vincent and Larissa with precious gifts of tenderness and ecstasy unbound. Description: Hardcover in Very Good condition.